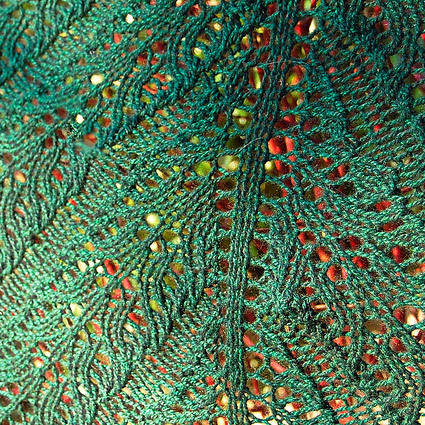 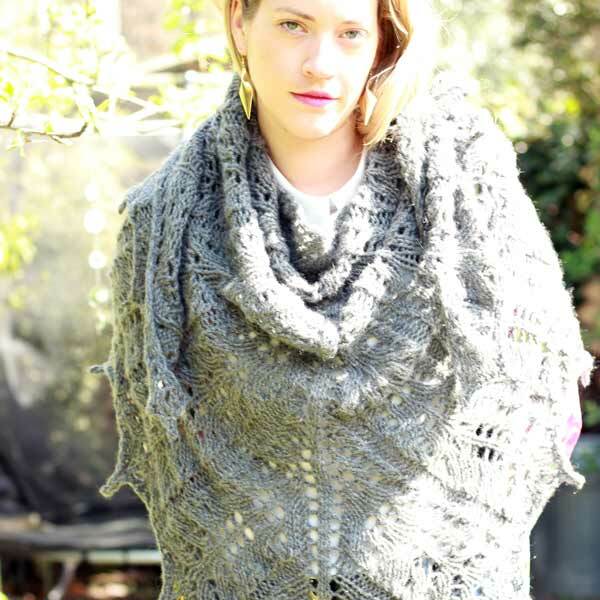 Justified a pure cashmere lace shawl created by Elizabeth Felgate for Luxury Yarns, using Altopiano. PLEASE NOTE THAT THIS FILE WILL NOT DOWNLOAD – If you buy it I will email it to you as it is too big to upload to the website. 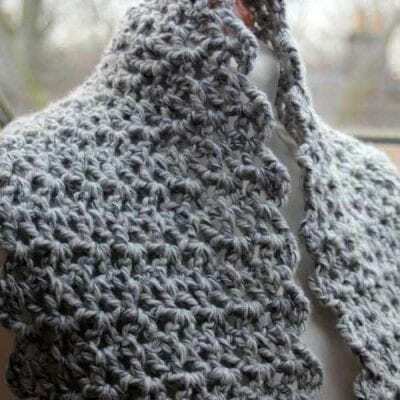 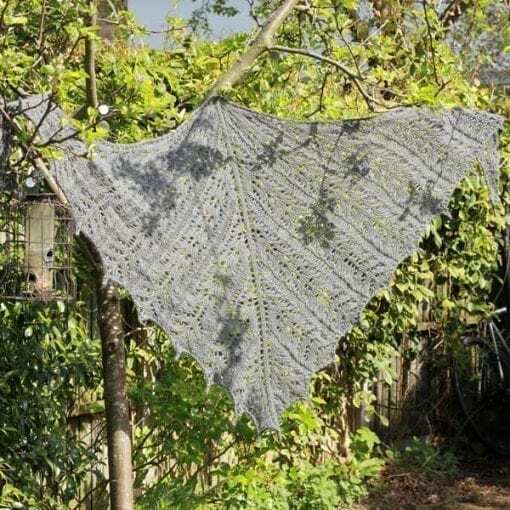 Justified by name, Justified by nature – and of course you are absolutely Justified in buying a few balls of the softest and most luxurious yarn to make this pure cashmere lace shawl. 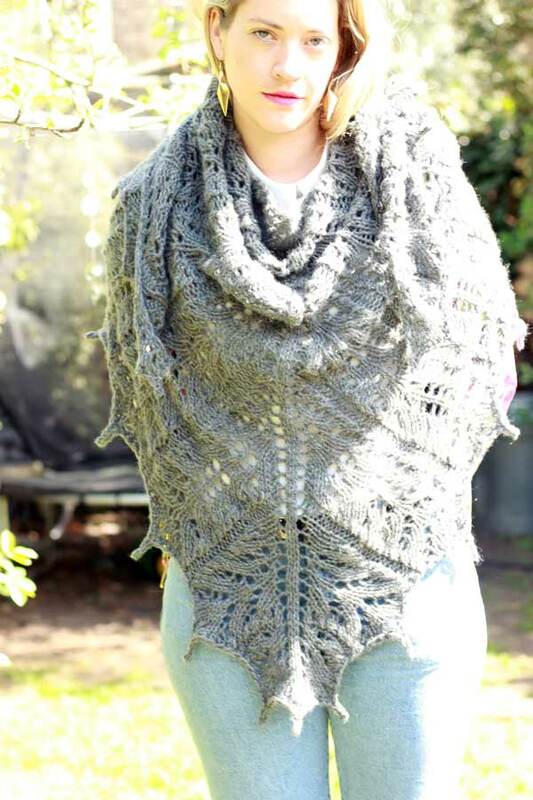 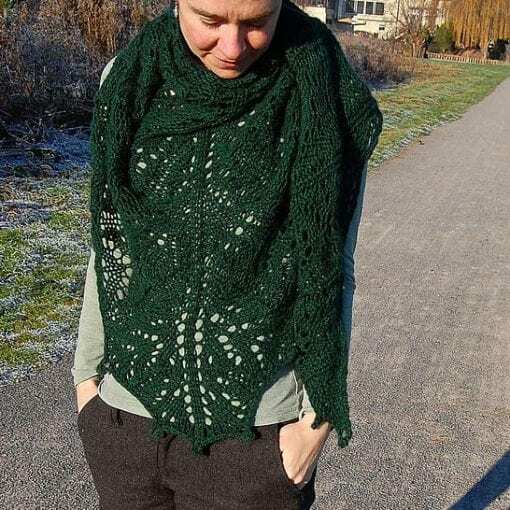 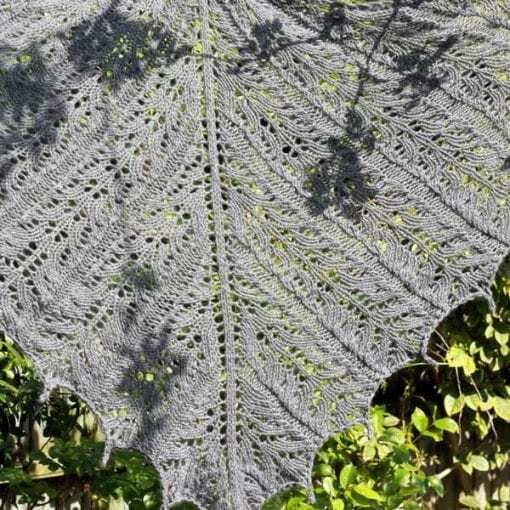 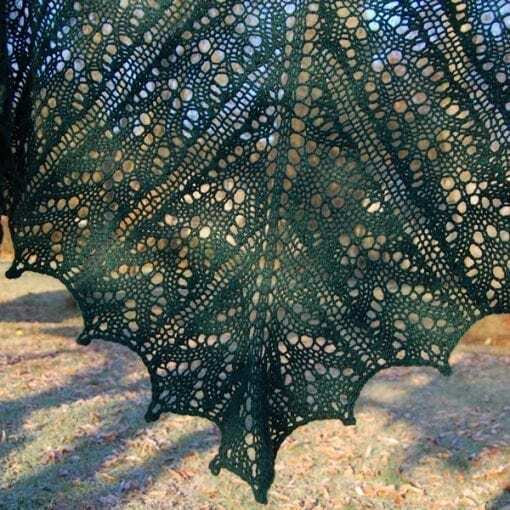 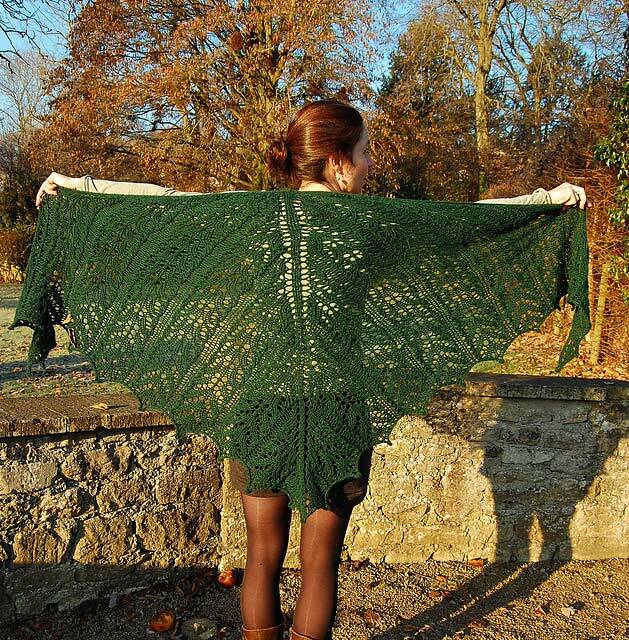 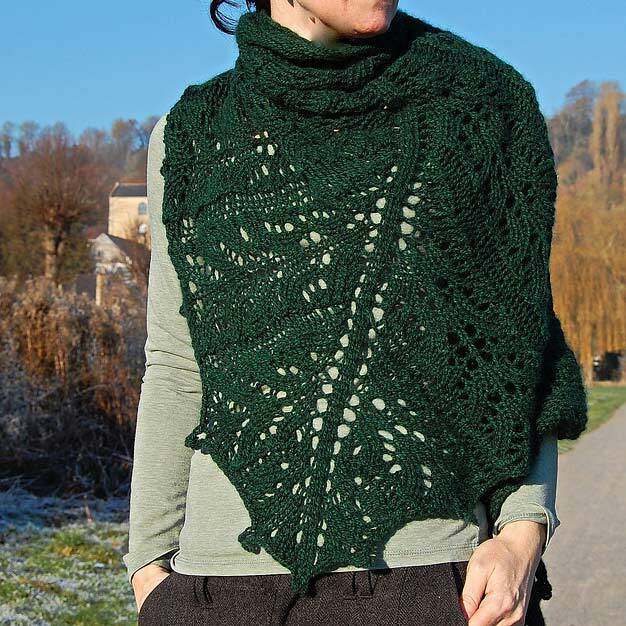 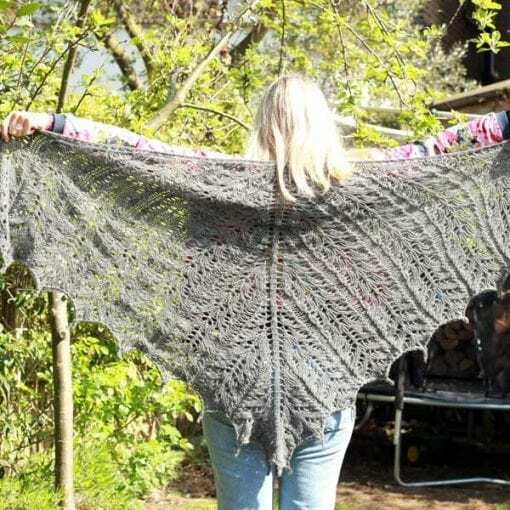 A warm winter wrap, constructed top down triangle in aran with a custom designed lace pattern, in the most butter-soft of cashmere yarns in a deliciously dark green, the colour of evergreen leaves. A joy to work with. The lace has been designed to be easy and intuitive to knit and looks more complicated than it is.